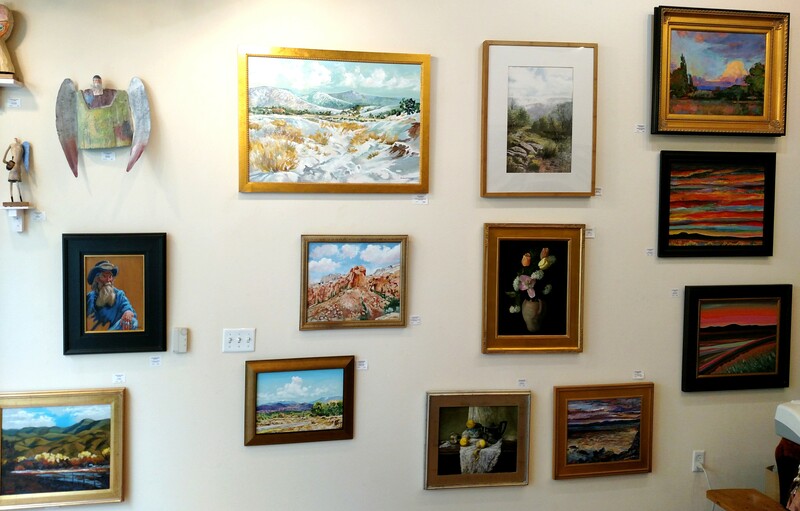 Six artist who live and work in Santa Fe, NM. One artist, James Griffith has been sculpting here in Santa Fe since 1972 doing fanciful figures and animals; Richard Tashjian (landscape) and Trinon Crouch (landscape) have been here painting since 1986; Laurence Seredowych (still life and landscape) has been painting here since 2000; Jeff Tabor (landscape painting and running the gallery since 2004) and Mike Mahon (pastel and oil) painting here since 2005. Reception: Friday, Dec. 4, 4-6 p.m.